Looks like the oven may *just* fit. Fortunately, the space reserved for it is not wedged in between two cabinets/counters, but rather, there will be some free space on the left. However, the left edge of the oven would partially cover a light switch, so I’d need to get the switch moved eventually for it to work out long term. Also, the depth of the oven may be a bit too much compared to the counter/cabinets immediately to the right of it, so I’m thinking that I (nerd that I am!) should maybe create a “dummy” cardboard box in the approximate shape and size of the oven and try it out in the space before I make a final decision whether to buy it. Anyway, I understand that you may get other interested buyers in the meantime, but please keep me in mind — I hope to be able to mock up the cardboard box soon enough for your selling timeframe. I’m heading over to the house today at 2, and should let you know in a couple hours whether the oven will fit in our new kitchen. level to the outside. We have two strong men to assist at this time. street level or are there stairs to negotiate? Any idea how heavy it is? 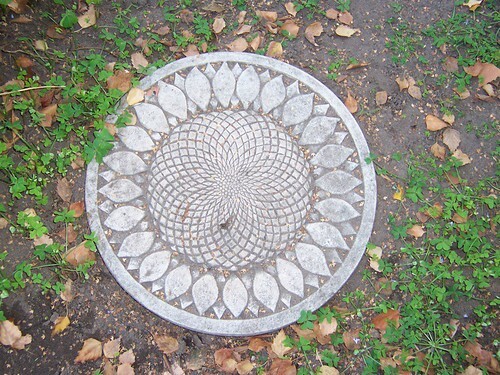 pretty paver, originally uploaded by RiseyP. we got the house we got the house we got the house we got the house we got the house we got the house we got the house we got the house we got the house we got the house we got the house we got the house we got the house we got the house we got the house!! we take possession on nov 30 ( i think ) but wait – that means i’m already behind on my packing – eeeep! i’m so exhausted from the stress and exhilaration, i may need to take a 72-hour nap or something. thank the flying spaghetti monster, the wait is over.